The best part about any holiday is always the dessert right? I absolutely love baking. 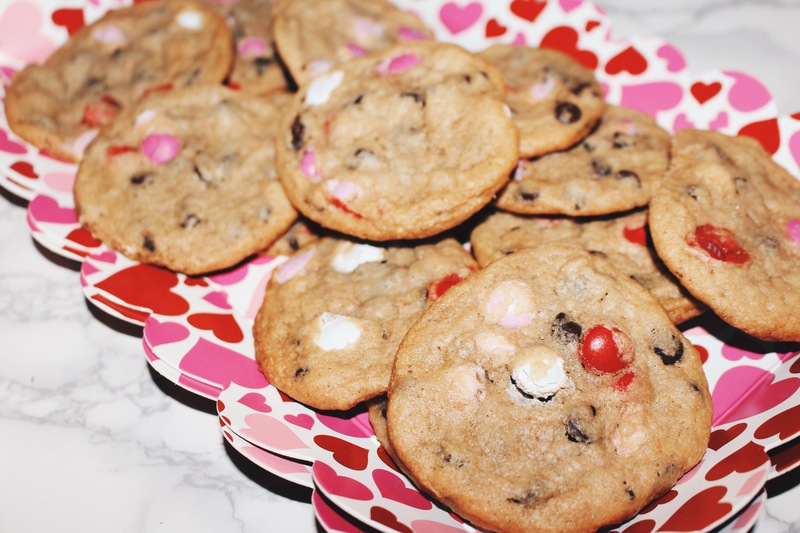 I wanted to bake something special for Valentine’s Day & this is what i came up with! 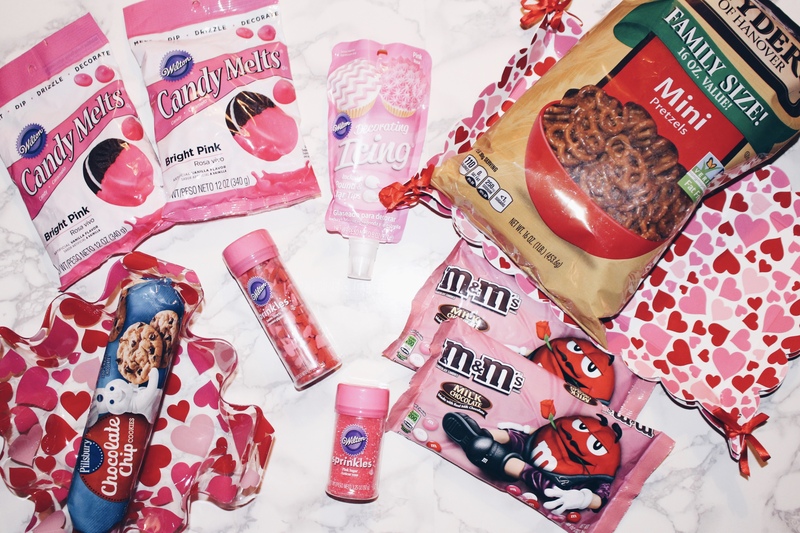 Today, I am sharing with you, two of my favorite Valentine’s Day Treats! I hope you enjoy this post! Melt the candy melts in a bowl for 1 minute & 30 seconds to make sure it is fully melted (do 30 seconds then mix and again till 1 minute & 30 seconds is up and use a bowl that will be easy to pour into a cookie sheet). 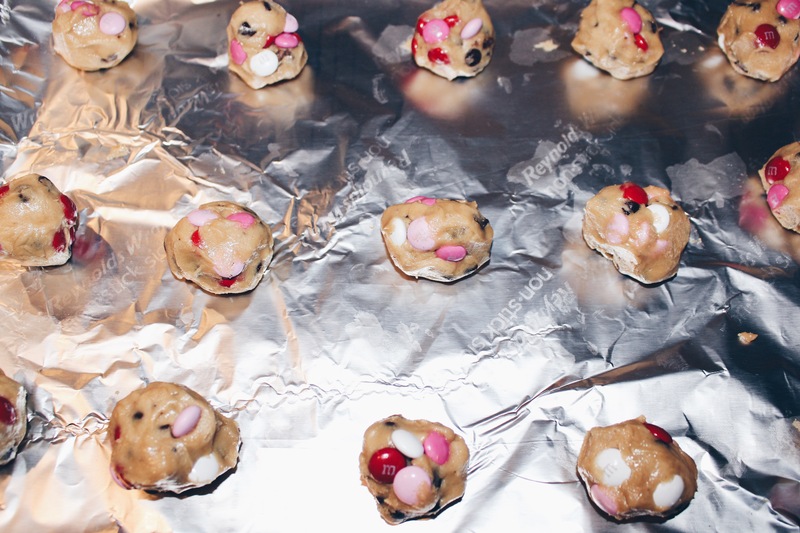 Pour onto cookie sheet and spread out evenly using a spoon or a knife. Place 5 pretzels vertically and 6 horizontally (depending on size of your cookie sheet). Don’t press them into the candy melt, lay pretzels lightly. 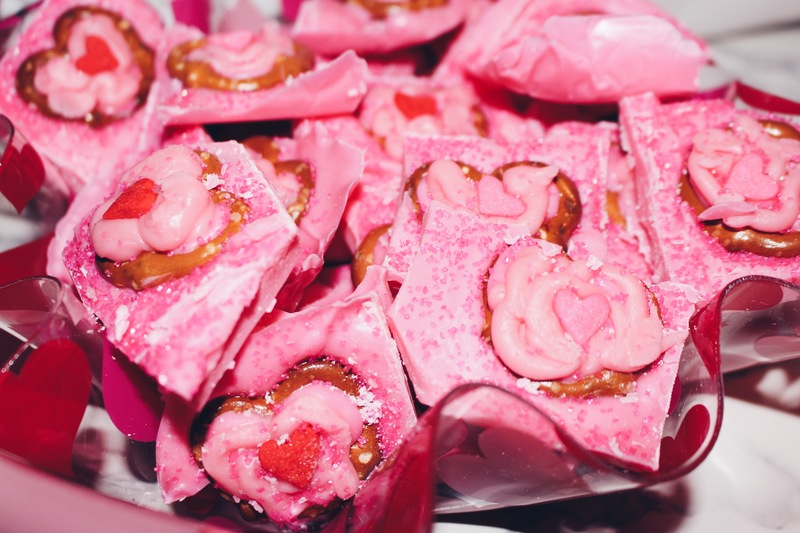 Add pink icing to center of pretzel. 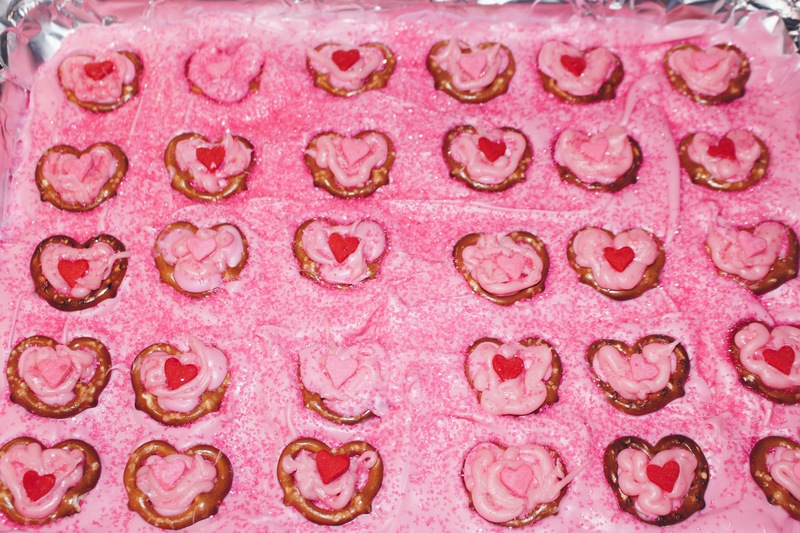 Place heart sprinkles in the center of pretzel, on top of icing. Place pink glitter sprinkles all over (legit all over lol). Place in refrigerator for (at most) 2 hours. Once frozen, cut the bark into pieces. WARNING: THIS PART IS EXTREMELY MESSY! Place into a cute dish and Enjoy! Cover cookie sheet with nonstick reynolds wrap. Place onto cookie sheet with a good amount apart. Place onto a cute platter. 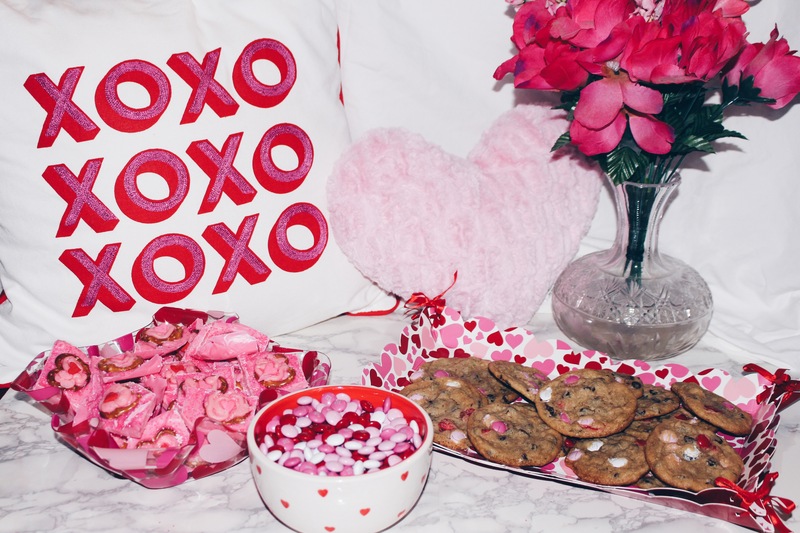 They all look delicious but the cookies seem really yummy! Hahaha! I can imagine, they must be so good! Awwww the bark is sooo cute! !